Brooklyn, NY, WPH Press, 2/6/17- JR WPH was thrilled to sponsor the 2017 Harry Mellis Winter Classics at Brooklyn’s Westside YMCA, featuring junior 4-Wall Big Ball singles and doubles. 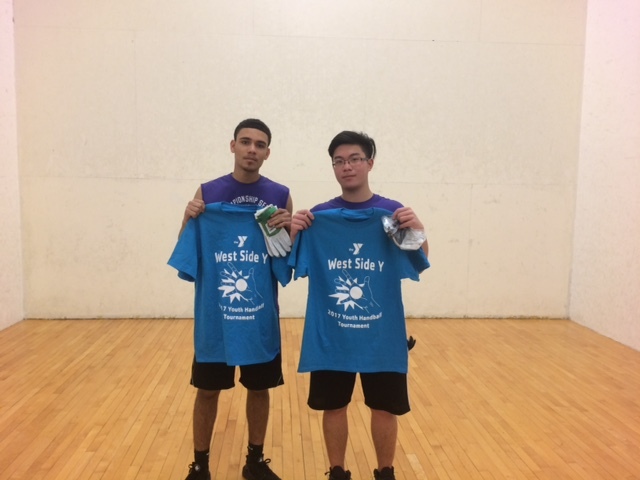 Tournament directors and JR WPH Coaches Danielle Daskalakis and Sandy Ng played host to 20 junior players between the ages of 15-18, many of whom participate in the bi-weekly JR WPH sponsored Harry Mellis Junior Handball program at the Westside YMCA. Mixed Doubles finalists: Allan Sanchez/BeeBee Garcia. Thank you to tournament directors Danielle Daskalakis and Sandy Ng for hosting this great event.